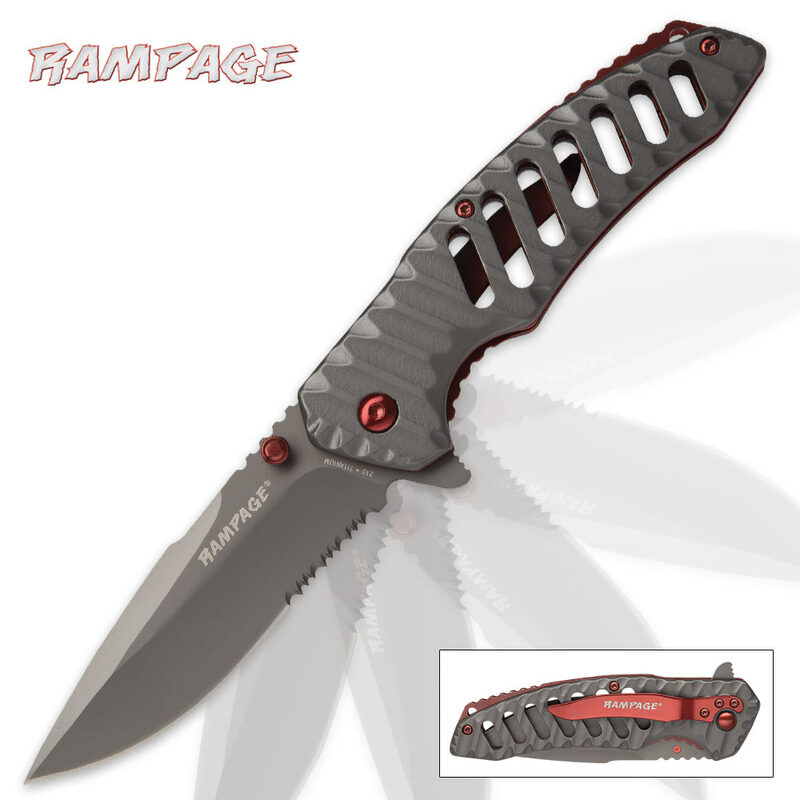 Rampage RedShift Assisted Opening Pocket Knife | BUDK.com - Knives & Swords At The Lowest Prices! 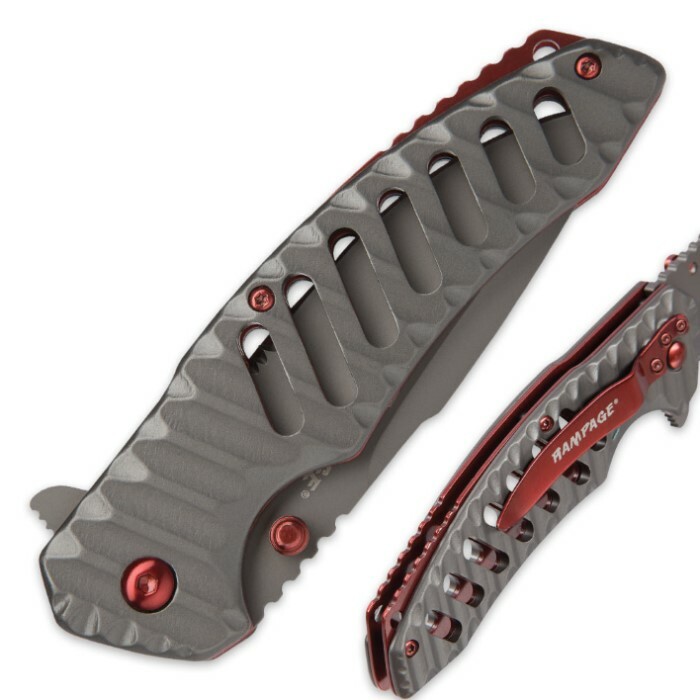 The Rampage RedShift Assisted Opening Pocket Knife is a stunner with its metallic red liner, pocket clip and other accents, which give a pop of color against the silver of the blade and handle. 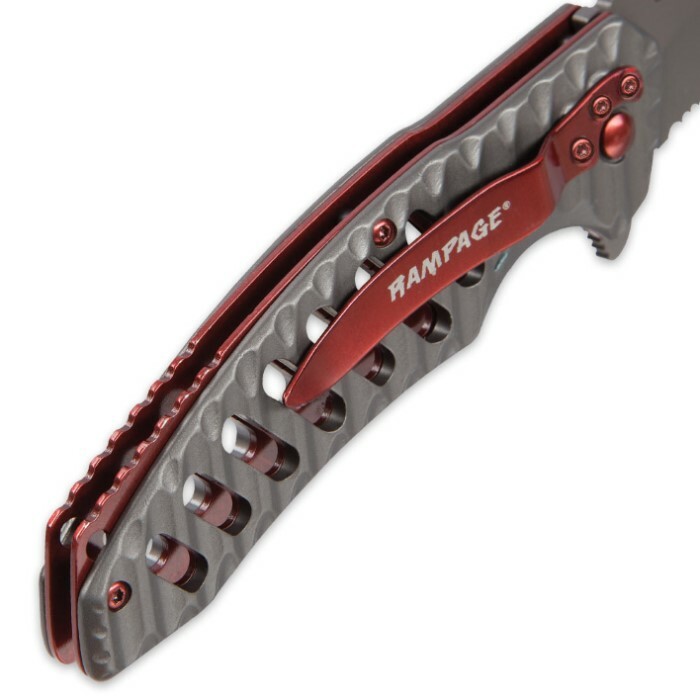 Both the handle and the 3 3/4” stainless steel blade are titanium coated and the blade can be quickly accessed with the assisted opening mechanism. This is one hot everyday carry pocket knife! This knife is nice. It looks good and feels well built. The blade comes fairly sharp, and there's no blade play. The spring assist is smooth and quick. The only down side is the pocket clip and the frame design make it difficult to clip to my pocket with one hand. I have to use my other hand to pull the clip away from the frame in order to clip to my pocket. Overall very nice knife for the money. I would recommend getting one when they're back in stock. I got this knife for free with my order, i recommend it. The knife is well made, and has some weight to it. The colors go really well together, it's also sharp. I'm actually surprised it's priced at 12.99.